If you have been reading my reviews for a while, you know that "A Man Called Ove" made my top 10 for 2014, and I was similarly smitten with "Britt-Marie Was Here." Yet somehow, Fredrik Backman's sophomore novel almost escaped my notice. And what a shame that would have been, because it is my favorite of Backman's novels so far. Elsa's eccentric grandmother had been seven-year-old Elsa's best friend. She told Elsa magical stories and took her on adventures in real life. Now, Elsa has been sent on a mission upon her grandmother's death: she must deliver her grandmother's posthumous apology letters to a wide-ranging cast of characters. Along the way, Elsa makes new friends and learns the roots of her grandmother's magical stories, and ultimately her grandmother's own incredible story. 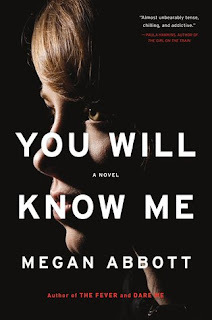 Admittedly, that descriptions sounds like trite jacket copy. But I don't want to spoil any of the truly lovely, heartwarming details. Basically, this book gave me the warm fuzzies, as my first-grade teacher would say. Elsa's grandmother was a fierce woman, with an admirable devotion to her granddaughter and others around her. She and Elsa are both offbeat in that way I've come to associate with Backman protagonists -- gruff and defensive on the outside, but driven and loyal once tasks have been set and friendships have been developed. 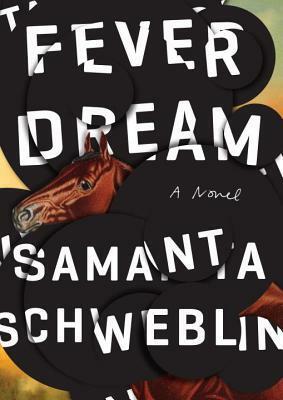 The clever plotting and intricate details are lovely, but it is ultimately Backman's unforgettable characters that breathe life into his novels. This one is no exception, and Elsa and her grandmother have become two of my favorites. Verdict: Affirmed. Elsa will charm and endear you as you follow her on her grandmother's last adventure. 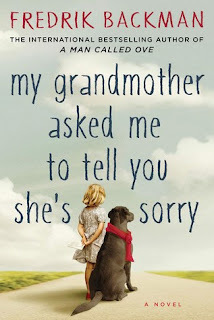 "My Grandmother Asked Me to Tell You She's Sorry" by Fredrik Backman, published June 16, 2015 by Atria Books.